Alex is a DiSalvo Performance Training alumni, professional jiu jitsu athlete and owner of Masterskaya in Brooklyn. He used the nutrition coaching program to great success to get on weight and performing top notch for EBI7: The Featherweights. "As a martial artist, I am always working to learn more in every aspect. One thing I always lacked was an understanding on nutrition. I worked with Mark in preparation for the Eddie Bravo Invitational, and Mark educated me on nutrition and dieting and broke it down in a very simple way. He provided a loose guideline of the foods I should be eating, when I should be eating them and in what ways that was tailored for my competition. He answered many things I was always curious about and did not overcomplicate anything. I still use the principles he taught me today. Since then, I also brought Mark into my martial arts school, Masterskya, for a workshop on mobility for grapplers. He taught us body movements and exercises that were functional for fighters, and I have implemented several of those movements in our daily warmups. I highly recommend Mark from both perspectives and think he has an amazing amount of knowledge for anyone looking to understand fitness/nutrition further." Rehan Muttalib is a multiple title holder in Brazilian Jiu Jitsu, with European and Pan Am Championships to his credit, and is a brown belt under Cobrinha Charles. On top of his athletic accomplishments, he's also a full time Resident M.D. in Myrtle Beach, SC. He started training at DiSalvo Performance in early 2018 in preparation for the IBJJF World Championships and has had a remarkable transformation in body composition, strength levels, and overall health since starting with DiSalvo Performance Training. You can read more in depth about his amazing transformation here. Today, he still works closely with DiSalvo Performance Training in every facet of his health: from strength and conditioning, to diet and lifestyle management. He is actively competing in the IBJJF Adult Division and other professional organizations among the best brown belts in the world, while maintaining a full time position as a family medicine doctor. "I’ve been working with @markdisalvo since late 2015. Before I saw Mark I was doing a prescribed PT routine, and my doctor told me not to squat or focus on squatting as “the mainstay” of any workout routine. Here’s me 2 1/2 years later lifting my body weight+100lbs." Daniel Gutin is a jiu jitsu competitor in the Master's Division (over 30). He's a husband and father and is devoted to bettering himself a little bit each day. 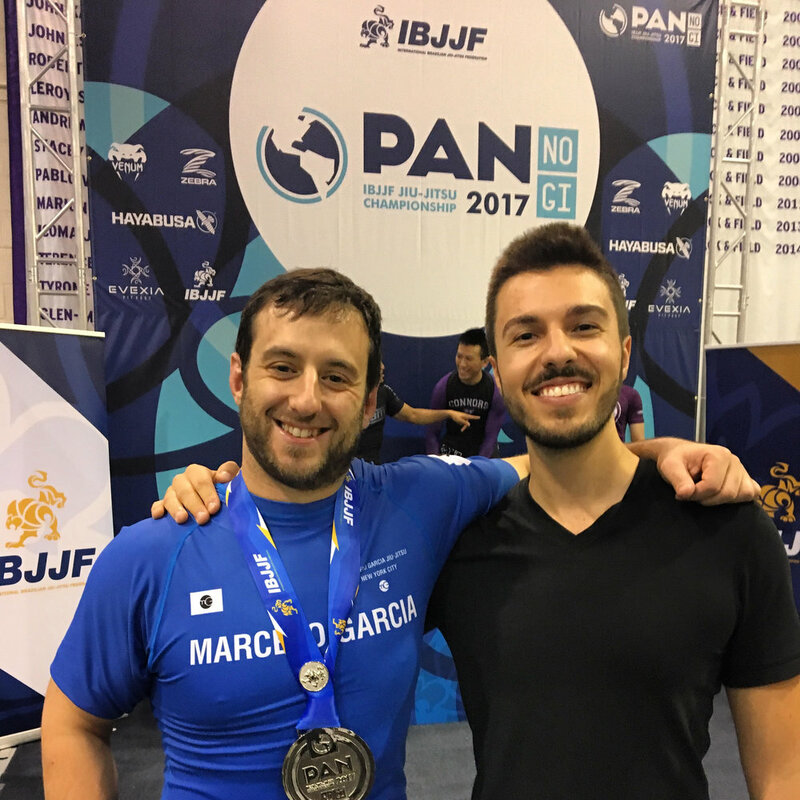 He has lost 30lbs and counting since working with DiSalvo Performance, and most recently picked up a silver medal at the IBJJF Pan Am (No Gi) Master's division and has his eyes on more hardware, weight loss and building the strength to maximize his body. “It has been such a pleasure working with Mark over the last several months. Week after week, Mark’s thoughtful approach to training always honed in on whatever was holding me back. I really felt listened to, and always got the sense I was being guided by someone with deep insight and an incredible knowledge of body mechanics. Mark also helped me to get my diet on track, and since we started working together, I have lost 20 pound and gained noticeable muscle definition in my legs, stomach, chest, and arms. These days, I feel more confident in my daily life and really competent in the gym.